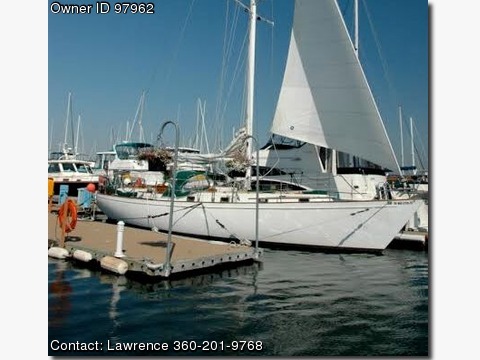 Please contact boat owner Lawrence at 360-201-9768. Sailed very little past 10 years. fully fiberglassed topside, repainted with sterling paint. radar set-up and Garmin GSD10 sounder. &amp; cabinets, cedar lined closet, custom beds, sleeps 6, 300 ft.
rigged for single handed sailing, prof. maintained, slip is available.